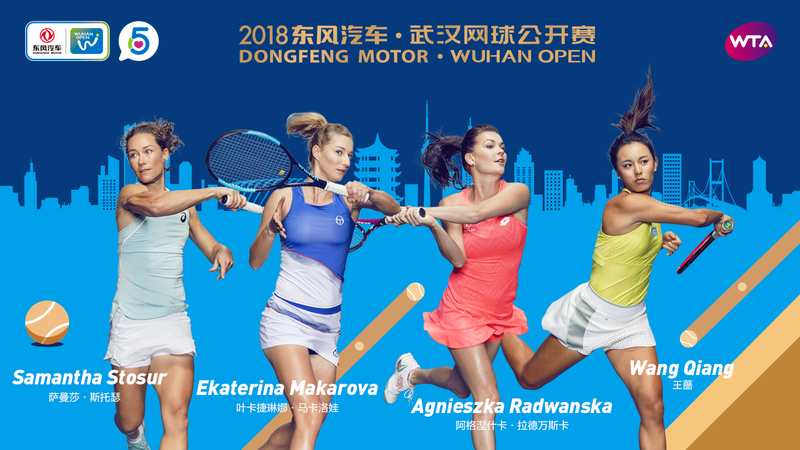 This month’s Dongfeng Motor Wuhan Open is set to feature one of the strongest qualifying draws of the WTA season as a host of big names bid to join the World’s Top 20 players in the main draw of the prestigious WTA Premier 5 event in Central China. Former US Open champion Samantha Stosur, Rio 2016 Olympic Gold medallist Monica Puig, former Wimbledon runner-up and former World No. 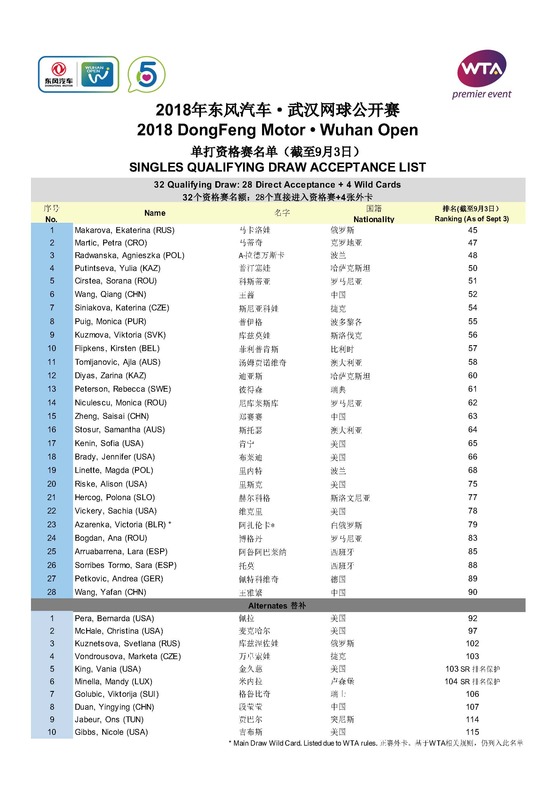 2 Agnieszka Radwanska, former World No.8 Ekaterina Makarova and former World No.9 Andrea Petkovic have all entered the 32-player qualifying draw. Four players - Radwanska, Stosur, Makarova and Petkovic - have previously been ranked in the World’s Top 10. Makarova, currently ranked 45, is the highest ranked player entered into qualifying in Wuhan, making it one of the toughest ranking cut-offs of any WTA qualifying draw this year. Qualifying begins on 21st September and takes place over two rounds with just eight players winning through to join the likes of Simona Halep, Garbiñe Muguruza, Petra Kvitova, Caroline Garcia, Karolina Pliskova, Venus Williams and Victoria Azarenka in the 64-player main draw. Venus Williams and Victoria Azarenka have already been given wildcards into the Main Draw, which leaves three further Main Draw wildcards available. These will be decided in the coming weeks.